1791 Gunleather Project Stealth holster offer premium steerhide combined with CX6 carbon fiber. 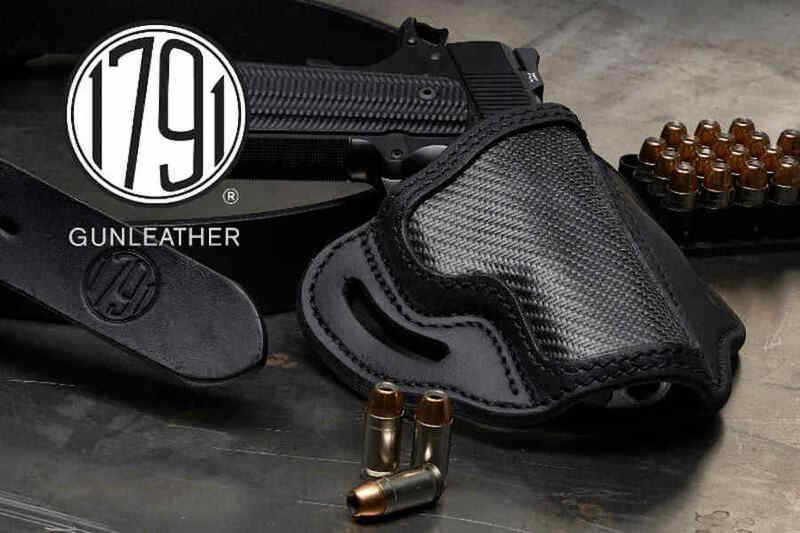 1791 Gunleather® has just released their innovative new “Project Stealth” holster line combining carbon fiber and premium leather. These new holsters will pair heavy native steerhide with state-of-the-art flexible carbon fiber in a proprietary, patent-pending combination of the two materials. The carbon fiber used in the 1791 Gunleather holsters is the patented CX-6® carbon fiber manufactured by Carbitex, well-known for premium brands in the automotive, high-end luggage, and professional athlete apparel markets. Carbon fiber firearm accessories have been very popular in recent years, as the product is extremely durable and strong, while also being much lighter than traditional steel or aluminum parts. At least one firearm manufacturer has even incorporated carbon fiber barrels in their widely praised precision rifles. Another reason carbon fiber has been so popular is the very attractive appearance of the dark gray, basket-weave styling presenting a very unique profile. The “Project Stealth” holsters from 1791 Gunleather combine the finest quality materials, with what CEO Ramiro Romani calls “old-world craftsmanship.” The end result is an everyday-carry (EDC) holster offering both outstanding construction and remarkable attractiveness. The current “Project Stealth” holsters are outside-the-waistband (OWB) designs. These holsters deliver a very nice combination of traditional holster style and feel, with a tactical flare. 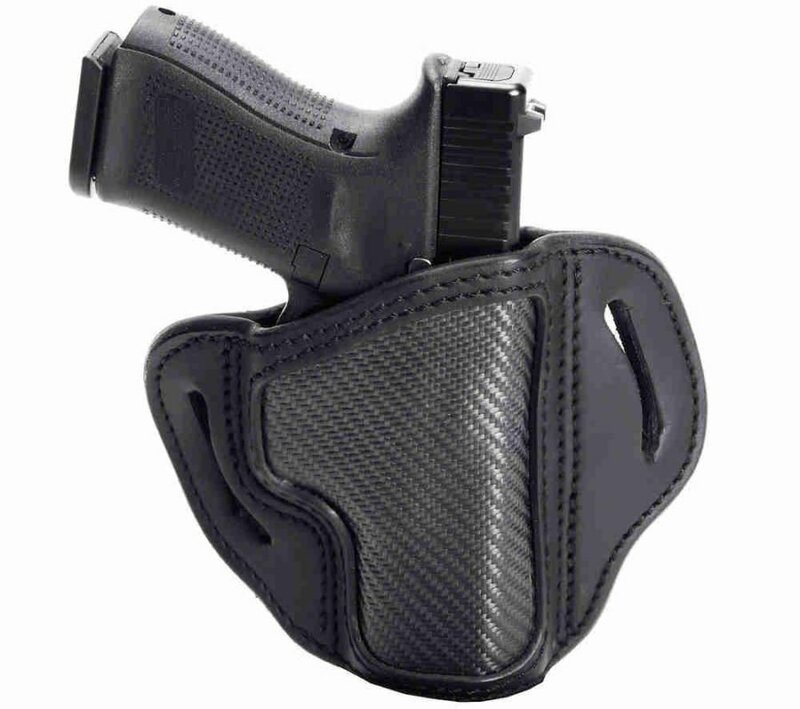 Overall strength and support of the holsters frame is enhanced with the CX6 carbon fiber. Though Kydex and other polymer holsters have become very popular for both concealed carry and duty use, there has always remained a strong segment of the firearms community that prefers traditional leather holsters. The new “Project Stealth” holsters offer a premium leather holster with the additional benefit and aesthetics of carbon fiber. 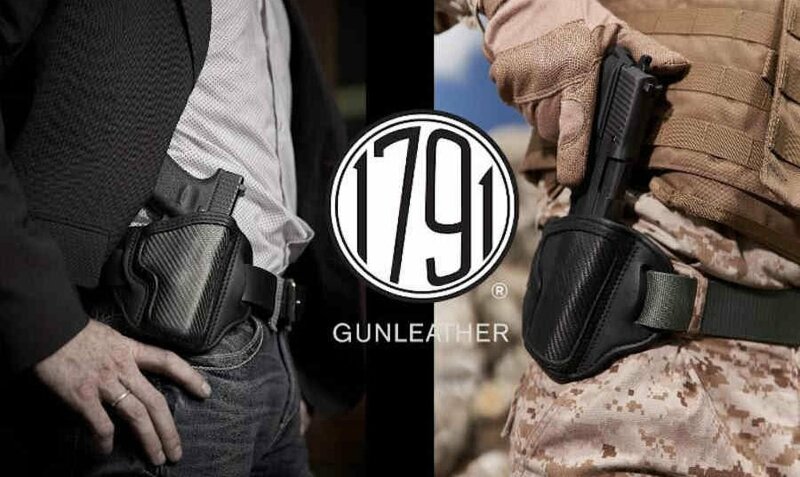 1791 Gunleather claims the “Project Stealth” holsters will deliver a “broken-in” feel of leather, while the durable and flexible carbon fiber will add to the holster’s strength and durability. The CX6 carbon fiber used for the “Project Stealth” holsters is extremely scratch-resistant, and UV-resistant as well. The 1791 Gunleather Project Stealth holsters are attractive and sturdy OWB holsters. “Project Stealth” holsters use a passive retention system. The addition of carbon fiber is touted has lengthening the holster’s life by reducing wear and leather stretching over time. The CX6 carbon fiber is much more flexible than most carbon fiber products shooters are used to seeing. CX6 carbon fiber is malleable, allowing the holster makers to mold the fiber into the perfect fit for each holster. 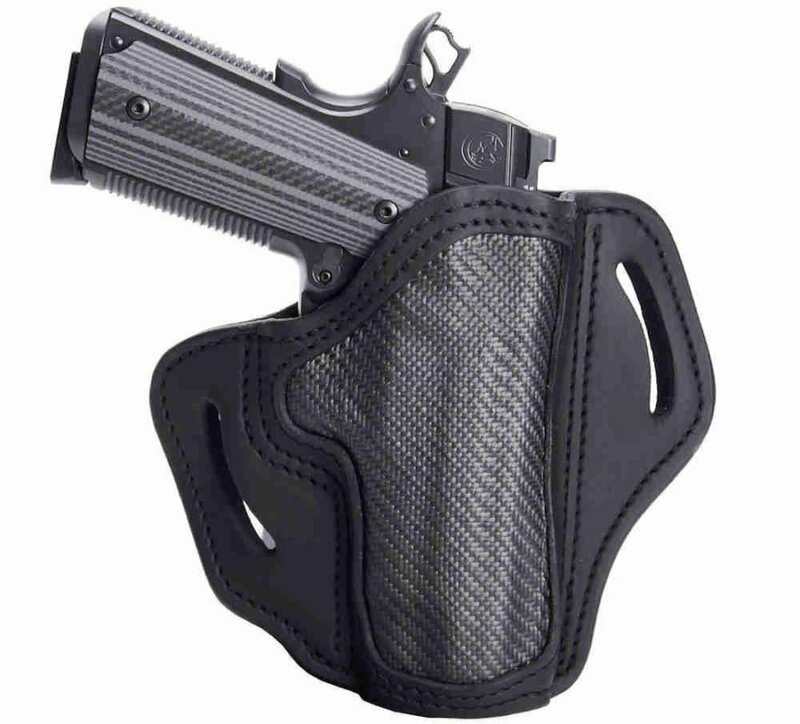 Once fitted to the holster the CX6 carbon fiber will not stretch, thereby strengthening the overall frame of the “Project Stealth” holsters. This additional strength helps the “Project Stealth” holsters maintain their shape, enhancing the shooter’s draw and re-holstering. These holsters have a pre-set forward sitting angle for the holstered firearm, providing shooters a quick and natural draw. The pancake-style “Project Stealth” holsters are designed to contour to the shooter’s body like traditional pancake holsters. 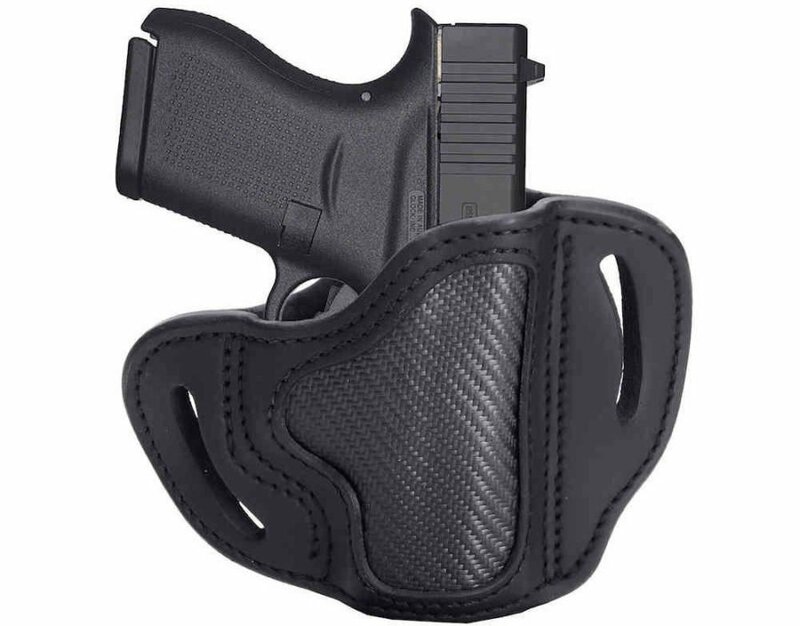 However, the addition of carbon fiber reduces the overall weight of the holster making concealed carry more pleasurable and even less noticeable over time. The amazing thing about the new 1791 Gunleather “Project Stealth” holsters is the company is offering superior materials and craftsmanship at less than $100.o0, prices less than most competitors offering leather-only holsters. I really like the appearance and qualities of carbon fiber, so I am naturally drawn to the aesthetically appealing presentation of the 1791 Gunleather Project Stealth holsters. Everything presented about the high-quality materials, and hand-craftsmanship, lead me to believe these holsters will be outstanding selections. 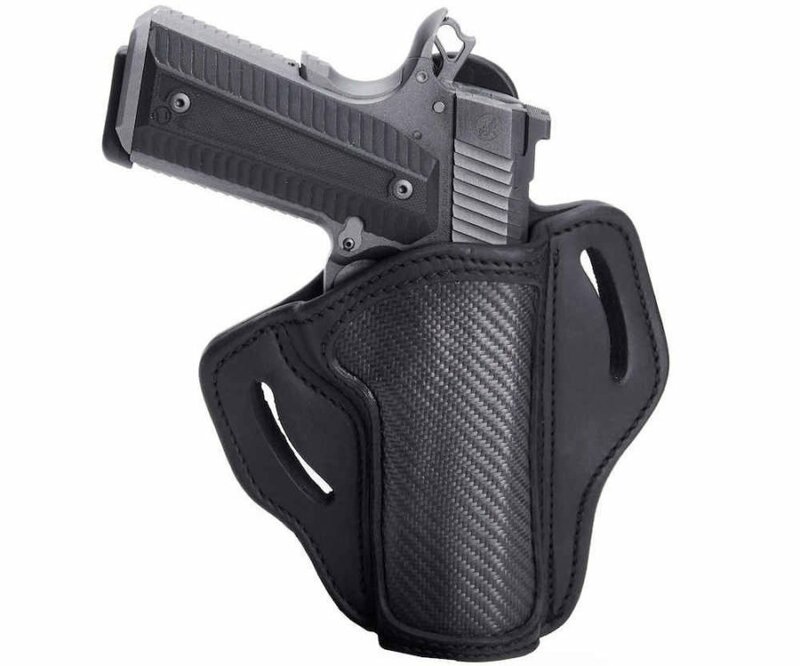 Incorporating CX6 carbon fiber is an outstanding approach to reduce weight, greatly enhance holster strength, protection, and durability, and deliver an amazingly attractive holster. We haven’t had the chance to test these holsters out, but so far we’re impressed. The 1791 Gunleather BHC is the perfect selection for compact pistols like the Glock 43. The 1791 Gunleather BH2.1 holster is perfect for mid-size pistols like the Glock 19. The 1791 Gunleather BH2.3 holster is the selection for full-size pistols like the 1911 or Glock 17. The 1791 Gunleather BH1 holster is specifically tailored for the iconic Model 1911 pistols.